In May 2015, CETL organized a successful international conference on Assessment for Learning in Higher Education featuring well-known keynote speakers, David Boud, Royce Sadler and John Biggs. Since that event, HKU colleagues have been leading the development of an edited collection to consolidate some of the work presented at the conference; and showcase other cutting-edge international research on assessment for learning. The theme of the volume and its title is ‘Scaling up assessment for learning in higher education’ (Carless et al., 2017). What do we mean by scaling up? A starting point for scale relates to quantity: the number of teachers and universities which are implementing assessment for learning. A deeper conceptualization of scale involves four interrelated dimensions: spread, depth, sustainability and shifts in ownership (Coburn, 2003). Spread involves implementation of pedagogic innovation at additional universities or in more groups within universities. Depth involves refining pedagogic practice in ways which impact teachers’ underlying assumptions about pedagogy. Sustainability relates to longevity and the presence of policy and infrastructure systems to support continued developments over time. Shifts in ownership involve transfer of understandings to new implementers. Some means of implementing assessment for learning are discussed next. 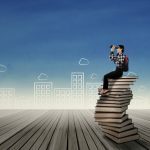 How is Assessment for Learning Operationalized? Based on a synthesis of relevant literature, I suggest a summary of four main assessment for learning strategies. The first strategy is productive assessment task design: the development of tasks which are likely to stimulate meaningful learning processes amongst students. This includes designing tasks which encourage students to sustain deep approaches to learning aligned with the learning outcomes sought. The second strategy involves the development of effective feedback processes as a central factor in pedagogy. A trend in recent work is to examine how feedback designs can promote student uptake of feedback, including emphasis on students seeking, generating and using feedback (Boud & Molloy, 2013). The third strategy relates to student understanding of the nature of quality work and its articulation through transparent criteria or rubrics. A key role of the teacher is to support students in developing capacities to discern the nature of academic quality (Sadler, 2010). The fourth follows from the third in that it focuses on making judgments about quality in relation to the work of a peer or one’s own work in progress. Peer review processes also help students to calibrate their judgments and enhance their own self-evaluative capacities. Table 1 below summarizes these strategies and suggests some illustrative means of operationalizing them. The sustained implementation of assessment for learning is very much dependent on the assessment and pedagogic literacy of university teachers (Carless, 2015). 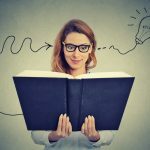 To facilitate the development of these kinds of literacy various forms of professional development are needed, including sustained communities of practice. Emphasis on assessment for learning is worth the effort because it is assessment which drives student learning. Using assessment to stimulate student learning to move in productive directions lies at the heart of well-aligned university teaching. Boud, D. & Molloy, E. (2013). Rethinking models of feedback for learning: The challenge of design. Assessment and Evaluation in Higher Education, 38(6), 698-712. Carless, D. (2015). Excellence in University Assessment. New York: Routledge. Carless, D., Bridges, S., Chan, C.K.W., & Glofcheski, R. (Eds. 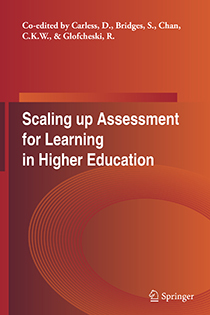 ), (2017, forthcoming) Scaling up Assessment for Learning in Higher Education. Dordrecht: Springer. Coburn, C. (2003). Rethinking scale: Moving beyond numbers to deep and lasting change. Educational Researcher, 32(6): 3-12. Sadler, D. R. (2010). Beyond feedback: Developing student capability in complex appraisal. Assessment and Evaluation in Higher Education, 35(5), 535-550. What is your experience in adopting assessment for learning strategies? What benefits do you see in assessment for learning? What challenges have you encountered or anticipated? Among the following frequently asked questions about assessment for learning, which one do you want to know more about? How to design meaningful assessment tasks? What kind of feedback can facilitate students’ learning? What can I do if students’ don’t listen to or act on my feedback? Are students ready for peer-assessment and self-assessment? How to make sure students understand the standard and assessment criteria?